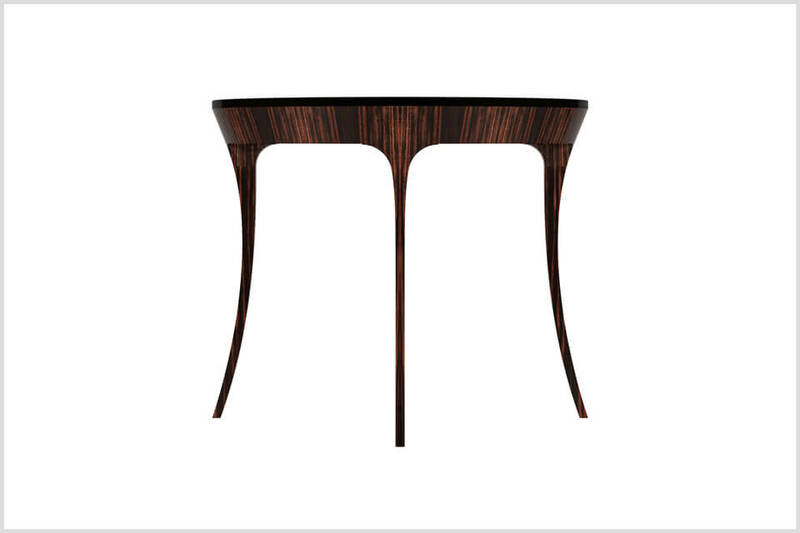 From first glance, the elegant, harmonious lines of MediaLuna embrace the eye. 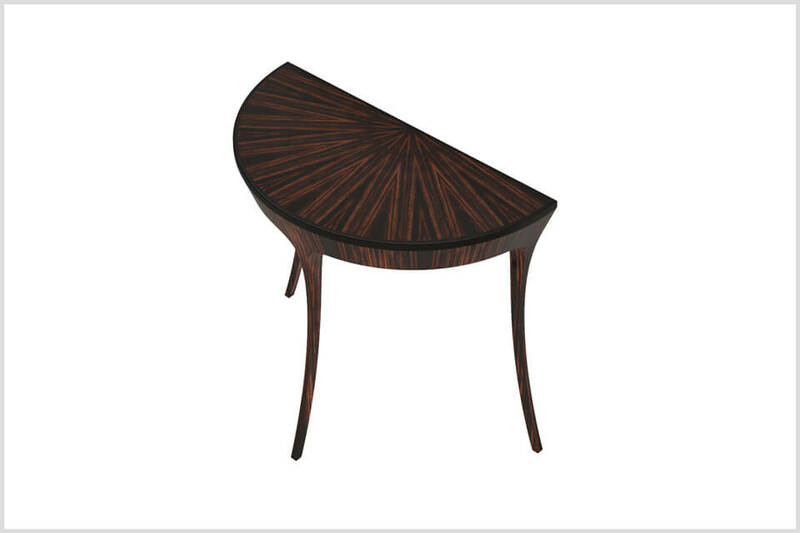 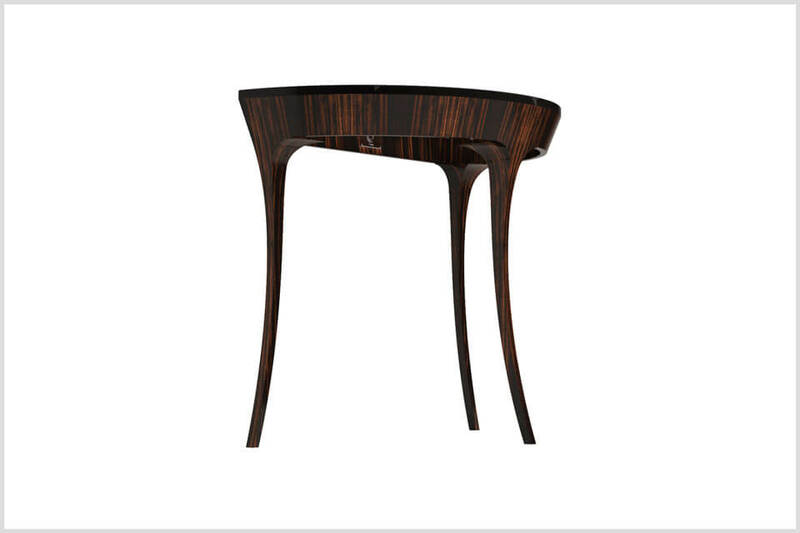 With the sensation that the legs are set ablaze, bursting seamlessly into the graphically radiating top, ArteNemus succeeds in exalting the refinement of precious woods, whilst orchestrating a harmonious symphony of contrasting hues. 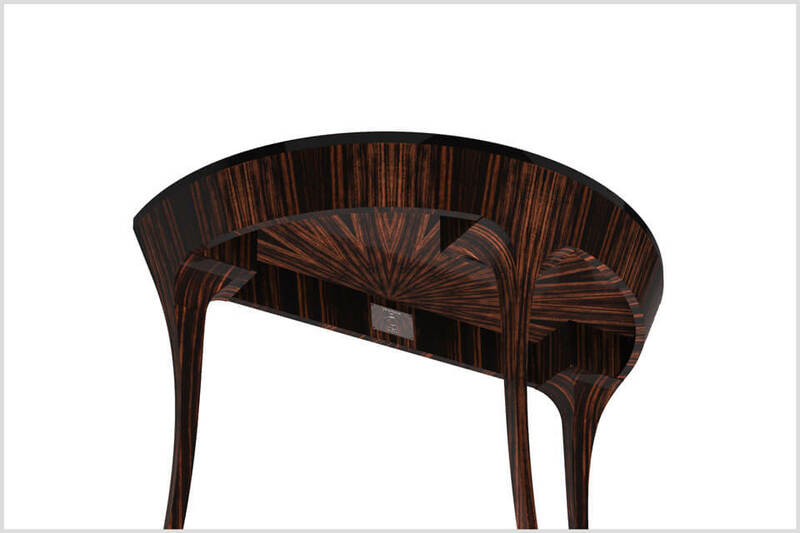 MediaLuna Macassar Black is clothed in Macassar Ebony and African Ebony.